The parks and surrounding scenery provide a peaceful ambiance to your vacation home in Aucun. This city has something for everyone. Rosary Basilica and Notre-Dame de l'Immaculee-Conception are just a couple of the must-sees in the area. Are you looking for specific amenities for your getaway? Many of our vacation rentals feature full kitchens and laundry facilities. The nearest airport is in Lourdes (LDE-Tarbes - Lourdes - Pyrenees Intl. ), located 17.4 mi (28 km) from the city center. 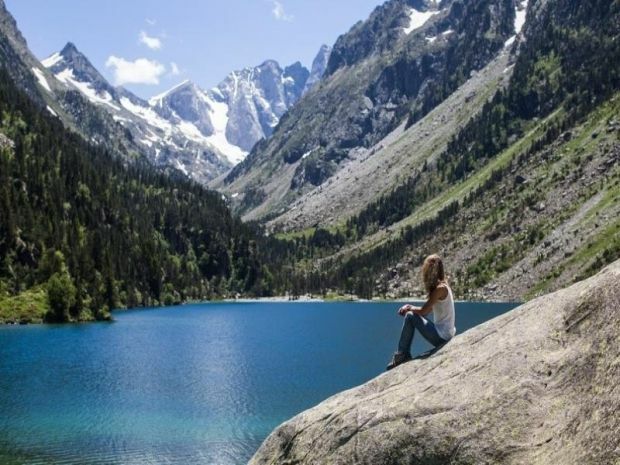 If you can't find a flight that works for your travel itinerary, you could book a flight to Pau (PUF-Pau - Pyrenees), which is 29.4 mi (47.2 km) away. Where to stay around Aucun? Our 2019 property listings offer a large selection of 725 vacation rentals near Aucun. From 81 Houses to 46 Bungalows, find a unique house rental for you to enjoy a memorable stay with your family and friends. The best places to stay near Aucun for a holiday or a weekend are on HomeAway. Can I rent Houses in Aucun? Can I find a vacation rental with pool in Aucun? Yes, you can select your preferred vacation rental with pool among our 109 vacation rentals with pool available in Aucun. Please use our search bar to access the selection of vacation rentals available.